The dynamic story of the Williams sisters, both top-ranked professional tennis players.Venus and Serena Williams are two of the most successful professional American tennis players of all time. Coached at an early age by their parents, the sisters have both gone on to become Grand Slam title winners. They have both achieved the World Number One ranking in both singles and doubles! Although completely professional and fiercely competitive, the sisters remain close. Who Are Venus and Serena Williams? 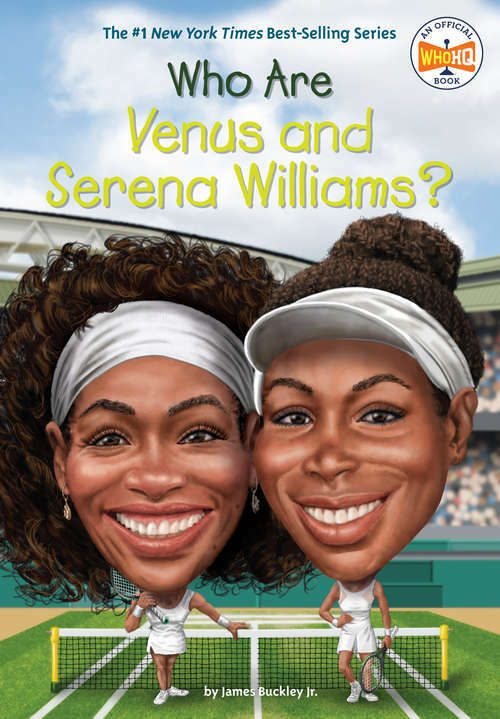 follows the pair from their early days of training up through the ranks and to the Summer Olympic Games, where they have each won four gold medals—more than any other tennis players.This title in the New York Times best-selling series has eighty illustrations that help bring the exciting story of tennis champs Venus and Serena Williams to life.